I am not the most knowledgeable person about this species, but it seems happily at home in the Physiruellia clade owing to several plant features (see Tripp 2007, Systematic Botany). 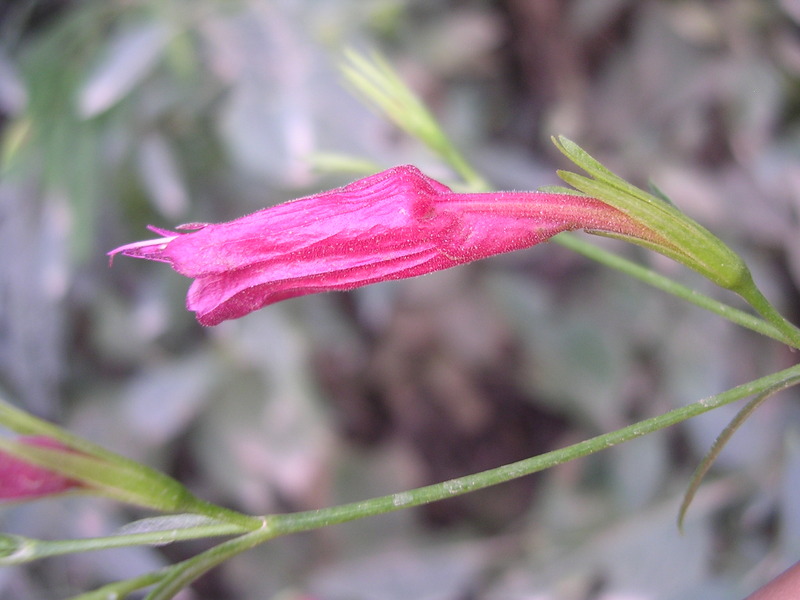 I always thought it had lipstick red flowers like many other species in this clade (e.g., see those discussed by Cecilia Ezcurra in her insightful 1989 publication in Darwiniana), but this photo suggests they have the mauve thing going on…which makes me want to study its anthocyanin composition. Update (Sep 2016): Got to see this species in Bolivia and collected material so will get an answer soon about its anthocyanin composition.